Our online store is now open for business! We’ve featured a few of our favorite products below, but if you’d like to check out everything we have to offer, please visit the store! Of course we love all our products but if we had to choose a favorite, this would be it! 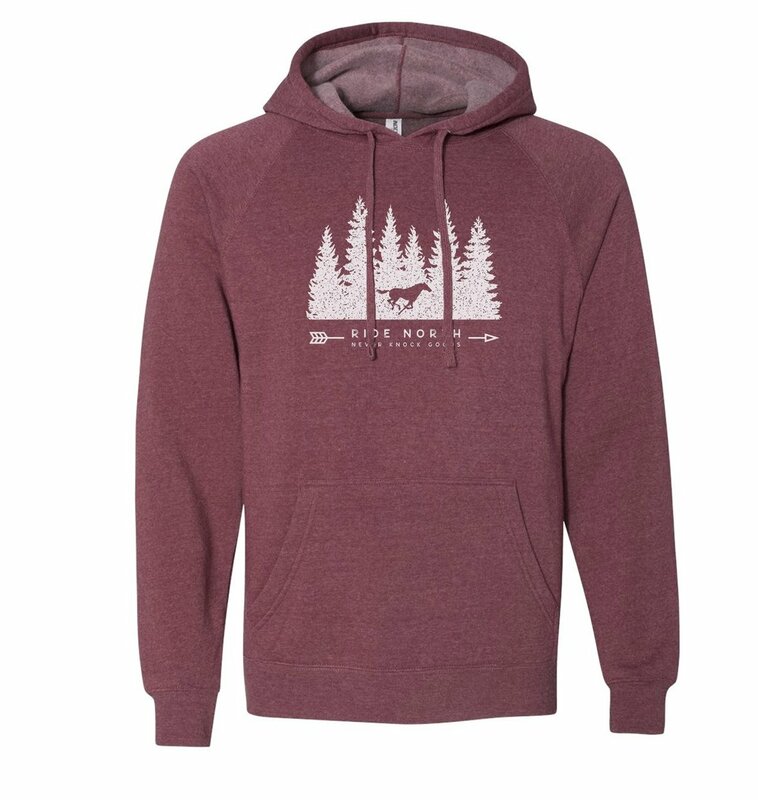 Featuring our popular Ride North design, this hoodie has it all. 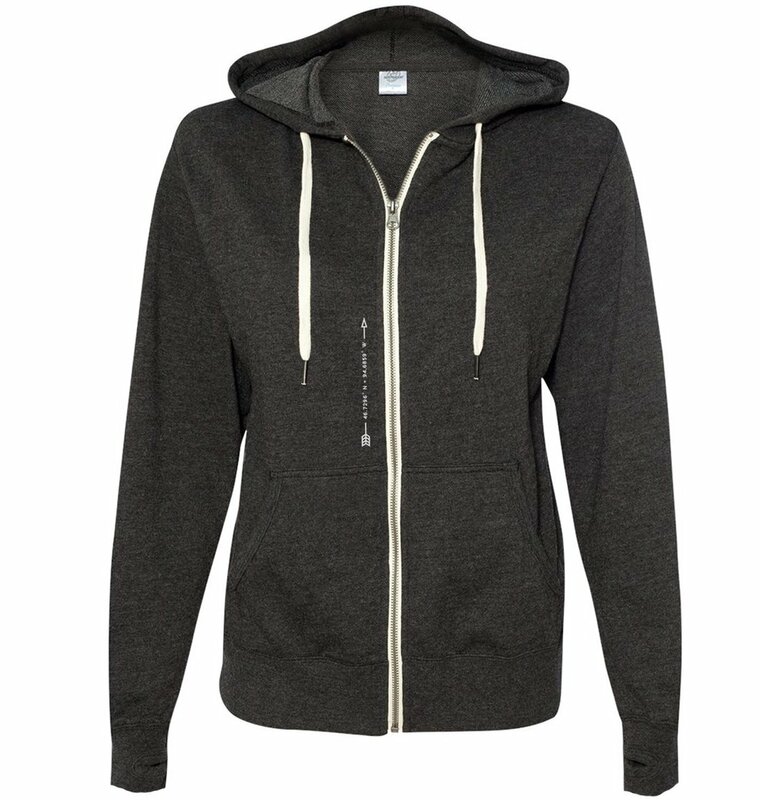 With a “stay put” phone pocket and comfy, reinforced thumb holes, this zip-up is perfect for fall riding, cool summer nights and throwing on an extra layer for winter chores. Stay up to date on all new products, events, and our equine rescue partners by signing up for our Newsletter. Never Knock Goods is a quality clothing brand crafted deep in the North Woods. We are passionate supporters of our horses and our fellow equestrians. We believe the occasional tip of a barrel or bump of a pole is an opportunity to get up, dust off and move on – never knocked by what life brings – and always looking for the good. A portion of our profits are given right back to the equine community, rescues, and therapeutic programming. Buy goods, do good.